Very often, in tackling environmental noise, it is necessary to assess the magnitude of the noise based on forecasted operating data. For instance, to study the noise impact from the different alignment options of a highway project, the noise contributed from various parameters such as the future traffic flow and speed have to be taken into consideration. 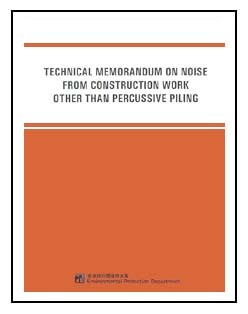 Various assessment methods using standard acoustical principles and modeling techniques are adopted for various types of environmental noise. Also, there are guidelines or criteria for the planning and control of environmental noise. Aircraft noise is one example of transportation noise. This picture shows an aircraft in flight following its flight path. Please click on the photo to listen to the sound. Then click on its photo again to stop the sound/noise. In planning the new airport at Chek Lap Kok, the Airport Authority in conjunction with the Government have adopted guidelines set out by International Civil Aviation Organisation (ICAO) and the U. S. Federal Aviation Administration (FAA) to assess the aircraft noise impact arising from aircraft operation. The FAA's Integrated Noise Model (INM) which is considered a state-of-the-art tool was used to generate noise contours for assessing the airport noise exposure. A noise contour map is similar to a topographical contour map with continuous lines connecting all points of the same noise exposure. The noise impact arising from aircraft operation can be represented by the Noise Exposure Forecast (NEF), a criterion which takes into account the duration of flyover, the peak noise level, the tonal characteristics and the number of aircraft movements in the daytime and night-time period. 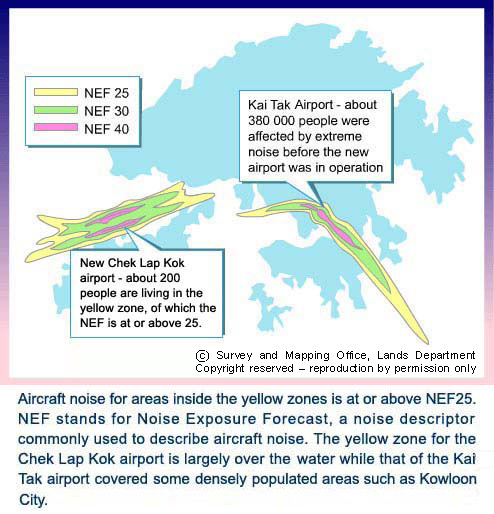 For the new airport, the Hong Kong Planning Standards and Guidelines stipulate a more stringent criterion of NEF 25 contour (as against NEF 30 for Kai Tak Airport) for planning of noise sensitive land uses. This criterion is in line with the international standards adopted by the developed countries. The following figure shows the NEF contours for Hong Kong Airports, both the new Chek Lap Kok airport and the old Kai Tak airport. This picture shows busy traffic on a major road. Please click on the photo to listen to the sound. Then click on its photo again to stop the sound/noise. to assess the effect of traffic noise from an existing road on future sensitive developments of, say, a residential estate. There are many methods and tools to assess traffic noise. The commonly adopted method in Hong Kong for the assessment of road traffic noise is based on the procedures given in the UK Department of Transport document "The Calculation of Road Traffic Noise (CRTN)". The assessment method gives corrections to adjust the reference noise level for traffic flow (such as traffic volume and speed), road surface correction, distance, ground effect (soft or hard), barrier and reflection effects etc. The road traffic noise is presented in terms of noise levels exceeded for 10% of the one-hour period for the hour having the peak traffic flow. The symbol is L10 (1hour) and the unit is dB (A). The assessment point is taken to be at 1m from the external facade. 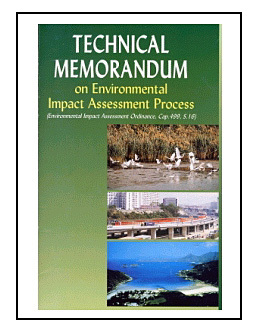 This approach follows the CRTN and is commonly adopted in other international environmental noise standards. Studies elsewhere have shown that environmental noise assessed outside people's home, correlate well with people's response to the noise. Furthermore the setting of environmental standards at facade can avoid complications due to reflection from furnitures and walls of the room. For details on the descriptors of Ln and in particular L10 (1hour), please click here. Assessments are normally based on the design traffic conditions or the maximum traffic projections within 15 years upon operation of the road works or occupation of the noise sensitive receivers or uses, whichever is appropriate. Most assessments are carried out at assessment points located at "noise sensitive receivers". In general, domestic premises, hospitals and similar sensitive uses are considered as noise sensitive receivers. For details on this term, please click here. Examples of fixed noise sources are power plants, concrete batching plants, electricity substations, pump houses, bus depots, and similar stationary sources. Click on the loudspeaker icons round the middle of the following photographs to listen to the noise from an electricity substation and a concrete batching plant. Then click on the photo again to stop the noise. In the planning of power plants, concrete batching plants and so on, it is necessary to predict the noise from their operation to see whether it exceeds the limits or criteria under the Noise Control Ordinance. The assessment is based on standard acoustical principles. 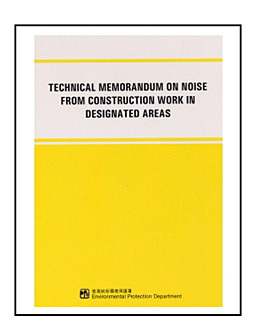 Issued under the Noise Control Ordinance, the following Technical Memorandum on Noise from places other than Domestic Premises, Public Places or Construction Sites is commonly referred to when considering the methodologies and noise limits for assessing noise from fixed sources. In cases of noise planning, the noise levels are calculated using the available information on types and quantities of plants and machines and their operation patterns. The following picture shows construction activities at a building site. Please click on the photo to listen to the sound. Then click on its photo again to stop the sound. carrying out of general construction work during restricted hours. For further details on the control of noise from construction site, please click here. 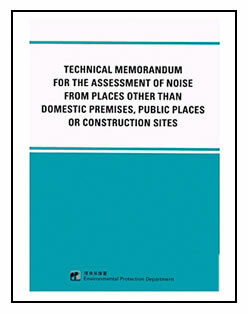 The Environmental Protection Department is responsible for processing applications for Construction Noise Permits (CNP). Assessment of construction noise is one of the important steps in processing each CNP application. The followings show the cover pages of the Technical Memoranda mentioned above. For details, please click on the covers. A rail can be at grade, elevated or inside tunnels. Since tunnels are practically noise enclosures, noise problem mostly comes from trains running at grade or at elevated structure. For railway noise, the descriptor of Leq is commonly used for noise impact assessment. LAeq is the level of steady sound which, at a given position and over a defined period of time, has the same A-weighted acoustic energy as the actual fluctuating sound. For details on these terms, please click here. Railway noise can be assessed by obtaining noise level through noise measurement at the site in question. Or, if a new railway line is being planned or a residential development near an existing railway is being proposed, rail noise can be assessed by considering sound performance of the type of rolling stocks at the respective operating conditions such as train frequency, speed, type of track etc.